Get the Amazon App of The Day - ABC Slate for Android Devices Today. All you have to do is download the application to your Android Device from Amazon and install it. The application will help you or a preschool kid to learn how to recognize and draw their ABCs. It will give you a mess free, and highly mobile, virtual chalk board. 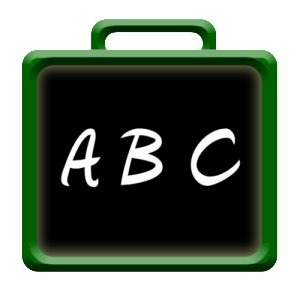 This interactive chalk board helps guide children on how to properly recognize and write the English alphabet in either upper or lowercase block letters.